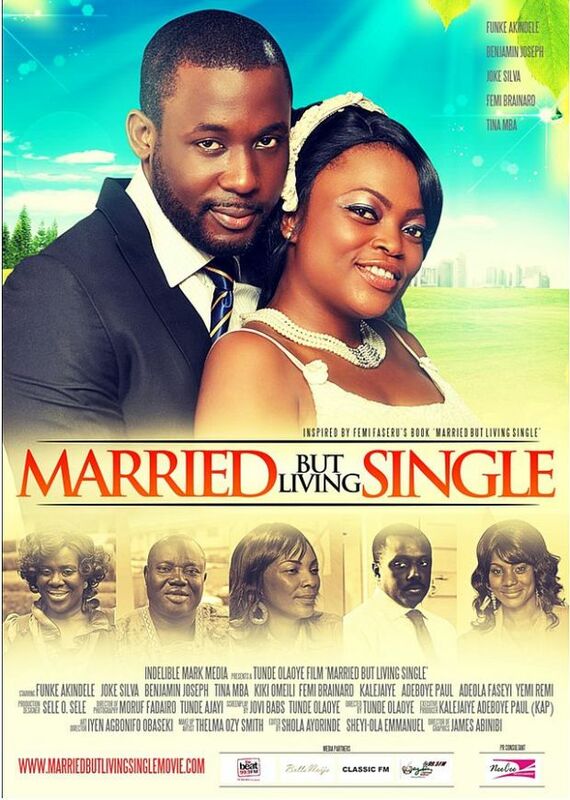 Kiki Omeili made her film debut in the much talked about movie Married But Living Single directed by Tunde Olaoye and produced by KAP. She played the role of the antagonistic and opportunistic Titi Haastrup alongside Joseph Benjamin, Funke Akindele, Joke silva, Femi Brainard and Tina Mba. The Nimo, Anambra state born actress graduated from the College of Medicine, University of Lagos, did her houseman ship at the prestigious University College Hospital Ibadan, and her National Youth Service Corps (NYSC) at the Health Centre, Ajeromi Ifelodun Local Govt. Thereafter, she worked as a business manager at Pathcare International, before following her passion and delving into acting and television presenting. She started auditioning for roles and kept snapping them up. Kiki has a host of TV series to her credit, including behind the Smile, The Valley Between, Footprints, Nesrea Watch, and Gidi Culture to name a few. She’s also the host of the popular TV reality show Dance 234 produced by KOGA Entertainment, which aired on Africa Magic world and several local TV stations last year. 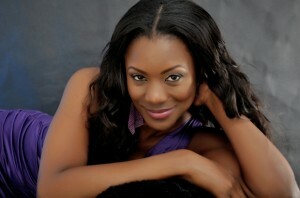 This multi talented young lady is also hosting the weekly health segment of the popular breakfast show on Smooth FM 98. 1 every Saturday morning called “Balancing life” and writes articles for various on line blogs. 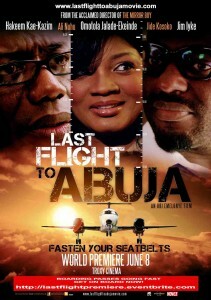 The Last Flight To Abuja opens at the cinemas next month with the official African première on Friday August 3, 2012, at the Genesis Deluxe Cinema, Lekki, Lagos. The thriller directed by Obi Emelonye (the writer/producer/director of The Mirror Boy); is a star-studded blockbuster movie with the leading Nollywood diva Omotola Jalade Ekeinde and other top flight Nollywood stars and celebrities including Hakeem Kae-Kazim, Jim Iyke, Ali Nuhu, Jide Kosoko, Anthony Monjaro, Uru Eke, Olumide Bakare, Jennifer Oguzie, Uche Odoputa and Celine Loader. The movie will be showing at the Ozone Cinemas, Silverbird Cinemas, Genesis Deluxe and other cinemas in Lagos, Abuja, Port Harcourt and Enugu.